Festival Barry's Pick: Guitarfish Music Festival - On the YUBA RIVER - Save 15%! Thread: Barry's Pick: Guitarfish Music Festival - On the YUBA RIVER - Save 15%! Barry's Pick: Guitarfish Music Festival - On the YUBA RIVER - Save 15%! Cost 4-day Earlybird tickets for only $145! This is my favorite Music Festival! It's got a great line-up of first class bands (Rock, Jam, funk, soul, electronic, and more) every year, the small concert bowl is in the forest, on carpet! (no dust!) and its just a 4-minute walk to a great swimming hole on the YUBA RIVER! Earlybird Tickets are currently just $153 for a 4-day pass! (after your 15% WaccoBB discount - use code WaccoBB). Should you purchase a ticket and then not be able to go, you'll have no problem selling your (transferable) ticket for what you paid for it closer to the festival, when ticket prices are higher. You can reserve a campsite with power and water at the campsite, plus a car pass for $250 - which can be shared by as many people can fit (most sites can easily handle 8 people). Real hot showers are nearby. And its family friendly vibe is extra sweet! The site is just off I-80 near Donner Pass (Truckee) so it's easy to get to. All in all, this is the sweetest, easiest, and Best festival! Established in 2011, Guitarfish is an annual event known for its funk-tastic, groove-fueled musical lineup and beautiful setting high in the Sierra. The stage features world class live music from funk and soul to rock and electronica and everything in between. The setting, the stunning Cisco Grove campground, comes complete with a natural amphitheater for a music bowl, ample shaded camping and its own swimming hole. Guitarfish offers everything else you would expect from a large-scale festival – great music, yoga, kids activities, vendors, workshops and art - in an intimate, family friendly setting. Pamela Parker & the Fantastic Machine and Jimmy Leslie’s Guitarfish Family Band. Early bird tickets are now on sale, get in quick to reserve your favorite RV Site for 2019 too! *applies to single adult 4 day ticket, cannot be combined with other offers, cannot be used on Friends & Family Package tickets. Last edited by Barry; 03-06-2019 at 05:11 PM. Re: Barry's Pick: Guitarfish Music Festival - On the YUBA RIVER - Save 15%! You can go to this fabulous festival for FREE! Online registration for the 9th Annual Guitarfish Music Festival will be live HERE soon! Build it up! We need all types of people to transform the festival site before the weekend. Work at the site before the festival in exchange for a festival pass and camping., basic time requirement is 20 hours in exchange for a festival pass, 28 hours for festival pass & meals. Please read the FAQs thoroughly (even if you have volunteered before as things do change) before signing up and note especially information pertaining to PREFEST. Check back here for online registration link and prefest dates for the 9th Annual Guitarfish Music Festival. We have a limited number of Street Team positions as we print fewer posters/flyers to reduce our footprint - quality over quantity! If you are a Street Team ninja with a finger on the pulse of your local scene, we'd love your help! To help spread the good word in exchange for a festival pass at any of the 2019 festivals, fill out this STREET TEAM FORM. 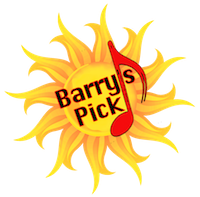 Barry's Pick: Volker Strifler and the Rancho Nicasio Blues Festival this weekend!